This is the second of a two-part series about the return of Danny Granger. For part one, click here. In an hour or so the Celtics will tip off against the Pacers, who recently got back Danny Granger after he missed the first 25 games with a calf strain. Indiana seemed just fine without their small forward who started 423 of 510 games from 2006 to 2012, but he can provide a major boost off the bench and allow Frank Vogel to experiment with some new lineups. Granger looked better on Friday night than his numbers might indicate. He shot 1-for-7 from the field but the attempts were open and in rhythm, ones that will fall in time. There were also five turnovers, but a few of them were typical of a player in their first game of the season, turnovers everyone else (hopefully) got out of their system in the pre-season. It seemed like he has yet to get his legs fully under him, which is understandable. He blocked Dwight Howard from behind but there were also times when he didn’t elevate well. Overall, it seemed like a typical night for someone playing in their very first game of the season. If he can stay healthy and work out the kinks, Granger can bolster an already improved bench. Their offensive efficiency is still in the bottom-10 among NBA benches, according to NBA.com, scoring 96.7 points per 100 possessions, but the shooting is much improved, up from 39.4 percent last year to 43.8. The bench’s defensive rating has remained top notch too, going from 97.2 points allowed per 100 possessions to 96.6. Granger’s a solid defender when healthy, so the Pacers shouldn’t take a hit on that end of the court. Offensively, Granger’s certainly an upgrade over someone like Orlando Johnson, and the second unit already features key cogs with the likes of C.J. Watson, Luis Scola, Ian Mahimni, and sometimes Lance Stephenson. Without Granger, that’s still miles ahead of what the Pacers had to work with last year with D.J. Augustin, Sam Young, and Gerald Green, among others. With Granger as the sixth man, Indiana shouldn’t miss a beat when the most of the starters get their breathers. Note: I should add that I’m expecting Granger to come off the bench because their starting lineup has a plus-minus differential of +5.3 per game. Don’t fix what isn’t broken. Aside from being a sixth man, Granger could provide for some interesting lineups. This is especially when he’s paired with Paul George, who at times can run the point or move to shooting guard where he started his first two seasons. Vogel has already experimented with that super tall wing duo, pairing Granger and George with Hill, Scola, and Roy Hibbert for a few minutes as well as using the same starting lineup from 2012. Granger and George logged six minutes together on Friday night, according to NBA.com. The plus-minus differential was zero. Along with going tall, a healthy Granger also makes for some small ball units. In 2012, Vogel used 17 of those lineups that placed George and Granger with only one power forward or center, according to NBA.com. The results were hot and cold, posting a plus-minus differential of plus-22 in just 59 minutes but shooting just 40 percent from the field. Of the time Granger was on the floor in 2012, three percent of it was at power forward, according to Basketball-Reference. Houston, with the likes of Terrence Jones and Omri Casspi at power forward, provided an opportunity for Vogel to go small on Friday night, but only Granger played with those kinds of lineups when the game was well out of hand. Going forward, small lineups against New York and Miami, for example (especially when Carmelo Anthony or LeBron James play power forward), could be possible. Miami’s crunch time lineups often consist of consist of LeBron with Mario Chalmers, Dwyane Wade, Ray Allen, and Chris Bosh, but it’s unlikely Vogel would show that kind of card to Miami during the regular season. Besides, going big is why Indiana does so well against Miami, among other teams. It’s obvious, but experimenting with Granger at power forward with the starters would mean sitting one of David West and Roy Hibbert. West would seem like the odd man out, unless Indiana wanted to gamble without one of the best rim protectors in the league. In that case, going small with George and Granger at small forward and power forward, respectively, might be better with the second unit and Ian Mahinmi at center. Regardless, Miami’s preparing Greg Oden for the playoffs but Indiana has their own ace up their sleeve in Danny Granger. If he doesn’t get traded Frank Vogel has four months to find the best situations for him, and as long as he can stay healthy he could make an already great Pacers team even better. 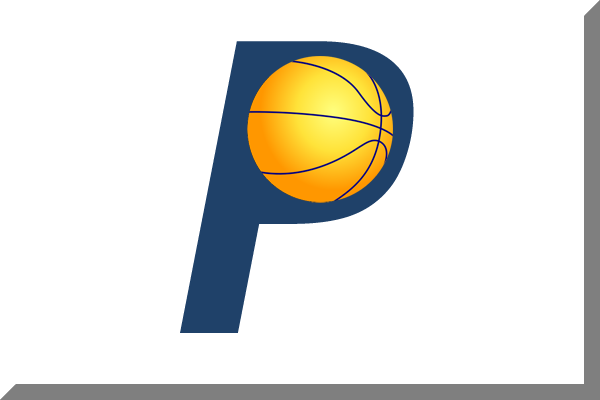 For part one of this series about the cloud hanging over Danny Granger’s expiring contract, click here. Granger also gives them one more big athletic wing body to throw at Wade and LBJ on D with the benefit of him being a guy they have to respect at the other end if he has anything left at all. Yeah I blanked on mentioning how he and George can switch on picks between LeBron and Wade, and they’ve already done it with Lance and George.